110 pages | 52 B/W Illus. This inspiring book is based upon a documentary approach successfully implemented by Stirling Council in Scotland, whose pre-school educators experienced dramatic improvements in their understandings about young children, how they learn and the potential unleashed in successfully engaging families in the learning process. This approach; which is based on careful listening to children and observation of their interests and concerns, centres around recording and commentating on children's learning through photos, wall displays, videos and a variety of different media. 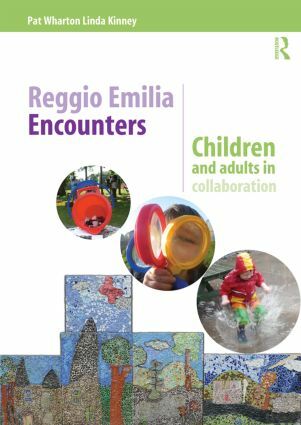 This follow-up text is an accessible and lively companion to the An Encounter with Reggio Emilia: Children’s Early Learning made Visible. It will encourage the reader to develop a deeper understanding of the approach and will show how the authors have seen a complete paradigm shift for those already working with documentation as a result of the guidance laid out in their previous book. Drawing on the experiences of practitioners and collaborators, the authors offer a framework from which any early years educator can easily adapt and develop in their own educational setting. Pat Wharton is an early years pedagogical consultant, Stirling, UK. Linda Kinney was formerly Assistant Chief Executive, Stirling Council, UK.